UCLA Staff, Please Join Us for dinePLATEIA! Home/Uncategorized/UCLA Staff, Please Join Us for dinePLATEIA! Enjoy a prix fixe menu of Plateia favorites, for UCLA staff from December 1-15, 2018! As a token of our appreciation to all of our UCLA staff members, we invite you to join us for dinePLATEIA at the UCLA Luskin Conference Center this December. 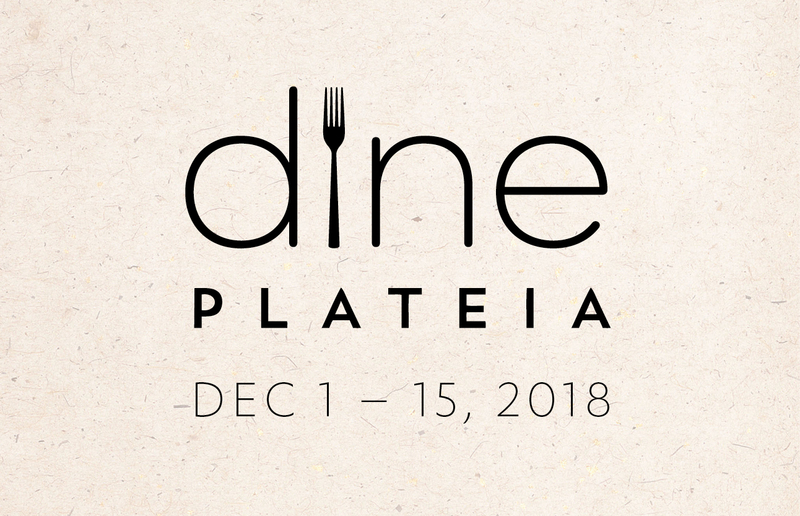 dinePLATEIA is a 15-day dining event where UCLA staff can enjoy specially priced 3-course pre-fixe lunch or dinner menus, showcasing the best of Plateia’s Mediterranean-inspired, California-fresh cuisine. This not-to-miss dining experience in the heart of the UCLA campus is a great opportunity to get together with fellow coworkers, family and friends during this holiday season. Relax in the cozy ambiance of our dining room or dine alfresco on our expansive outdoor patio under heritage olive trees. You can see our menus below, or download our lunch menu and dinner menu, as well. Book your reservation today or call (310) 794-3563 to reserve. Breakfast: 6:30 a.m. — 10:00 a.m. Lunch: 11:00 a.m. — 2:00 p.m.
Dinner: 5:00 p.m. — 9:00 p.m. Lounge Menu: 11:00 a.m. — 11:00 p.m.
Breakfast: 7:00 a.m. — 10:00 a.m. Weekend Menu: 11:00 a.m. — 11:00 p.m.
Social Hour: 4:00 p.m. — 6:00 p.m.